This year I finally started getting out some concept art for the large roster of characters. 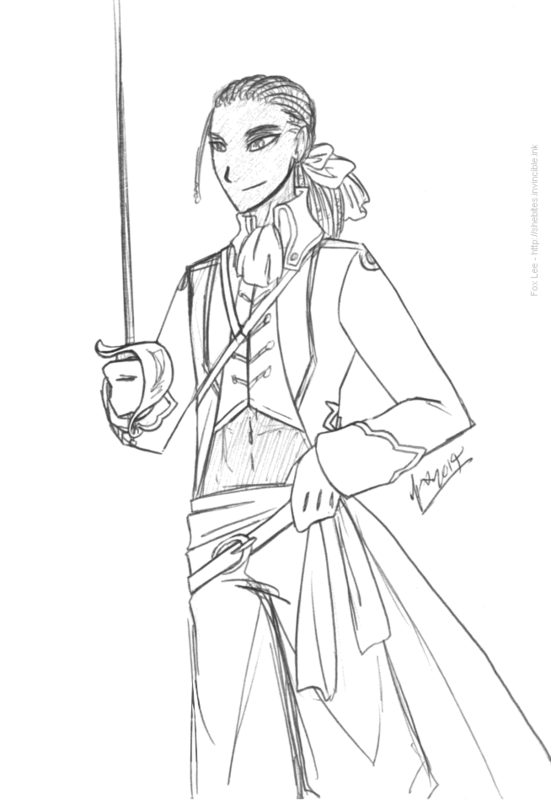 This one is Cordell, dapper gentleman swashbuckler and level-headed foil to his captain, Decker. He may be the more sensible of the pair, but he still has a rather flamboyant personality, and an audaciously brilliant plan to undermine the Guilds' financial empire.